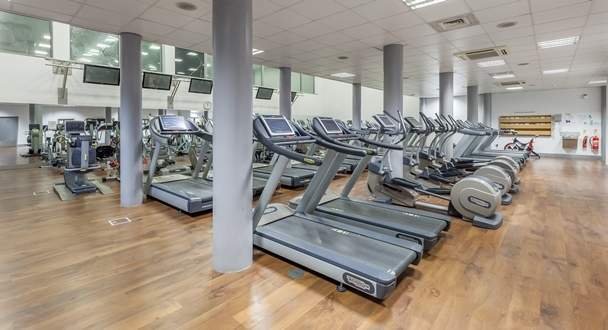 A fantastic state of the art Gym that is constantly expanding and open to new ideas. We offer the very best cardio, resistance equipment, free weights and functional space. We have over 120 fitness stations and a full range of functional equipment such as kettle bells, battle ropes and medicine balls to accommodate your every need. Our experienced Fitness instructors will guide you and arrange a personal training proramme which will be tailored to your individual needs. We offer a friendly and professional service to the local community and have a range of gym and fitness sessions designed specifically for general fitness, weight loss, muscle gain, strength, and flexibility and to improve your overall lifestyle. These programmes are available for juniors and Adults of all ages. Highgrove Pool offers a fully refurbished 33 meter main pool and wet side changing rooms which lead directly onto the pool area. Throughout the week we have a range of swimming sessions which accommodate lane swimming, general family swim and water work out sessions. We offer an extensive range of learn to swim sessions for all ages and abilities including learn to dive programme and Rookie Lifeguarding. Please view pool timetables and learn to swim programmes via our better website. Enjoy and unwind in our Sauna and Steam of which we have located in both Male and Female dry side Changing rooms. These facilities are available to Adult members. We have a fantastic fitness studio where we host our group fitness classes. The area is large and bright with mirrored walls. We offer a wide range of over 70 fitness classes a week, incorporating the latest fitness trends and a range of levels from beginners to advanced. With such a fantastic choice of classes and instructors we feel that we have something to offer for everyone regardless of if you are new to fitness or an advanced level customer. We have a newly built group cycle studio which is equipped with the latest mood and lighting affects. This studio is located on our middle floor gym and houses 18 top of the range bikes. Classes are run everyday, available for members and non members to book into to enjoy their workout with others.